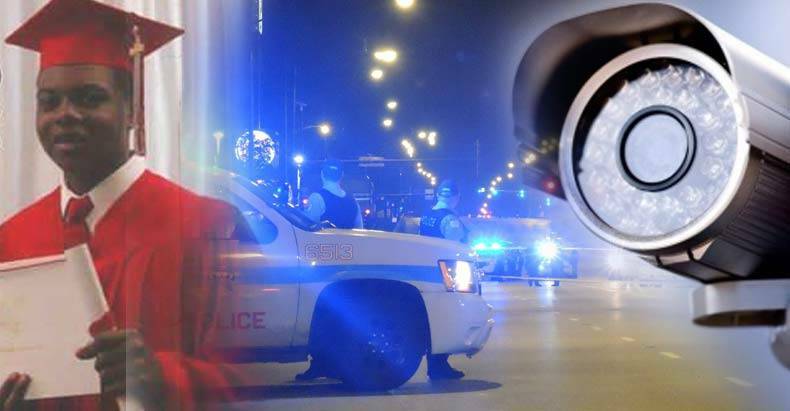 Chicago, Illinois – As more details come to light about the death of 17-year old Laquan McDonald, the more it seems that the Chicago police department is involved in a massive cover-up. On the night of October 20, 2014 McDonald was shot sixteen times by Chicago police officers. McDonald was gunned down near a Burger King, where police responded to a call about a suspicious man with a knife, or so they say. Very few details are actually known about the events that transpired leading up to the young man’s death. However, police claim that the young boy posed a serious threat to their lives, so they had no choice but to draw their weapons and shoot him over a dozen times. According to the Medical Examiners report, nine of sixteen the shots hit McDonald in the back. Police had stalked the young man through the parking lot of the Burger King, claiming that they were looking for a suspect, but instead they approached McDonald and ended up shooting him. While details are unclear as a result of the cover-up, it is likely that the young man was not entirely cooperative with officers because he was innocent and just minding his own business and did not want to be bothered. These natural and understandable objections to being stopped and hassled by police can many times escalate into a murder. Not only do the police refuse to release the dash camera footage from their patrol car, but they have also confiscated and deleted over an hour of security camera footage that was taken by the Burger King. Jay Darshane, the District Manager for Burger King said that after the murder, a number of police officers entered the store and demanded the passwords to his security system and access to the security footage. Three hours later the police left, but the crucial video evidence was missing. “We had no idea they were going to sit there and delete files. I mean we were just trying to help the police officers,” Darshane said. According to NBC news, the 86-minutes of missing video runs from 9:13 p.m. to 10:39 p.m., which would include the time of the shooting which occurred at 9:50 p.m.
“One witness, this witness told us this was an execution. That’s his word,” attorney Jeff Neslund told NBC News.